Follow Me To Viral Success!! 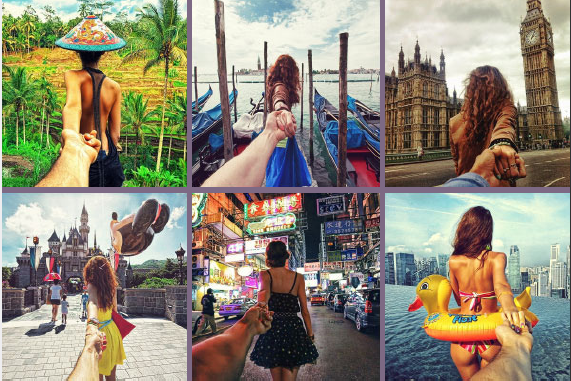 ‘Follow Me To’ is a creative Instagram photography series produced by professional Russian photographer Murad Osmann. Murad Osmann and his girlfriend Nataly Zakharova have visited the world’s most beautiful and exotic tourist destinations together including ‘The rice fields in Bali’, ‘Infinity pool in Singapore’, ‘Disneyland in Hong Kong’, ‘Red Square in Moscow’, and exotic streets of Barcelona. The way they documented their journey in a form of more than 40 photographs has been one of the most viral photographys in 2013. The most recognizable element of his photography is that all the pictures are taken in a first person point of view, guided by his loving girlfriend’s hand to new discoveries. Murad Osmann, an executive producer at ‘Hype Productions’, was born in 1985 in Dajestan, Russia. His passion for arts led him to start his own production company after obtaining Civil Engineering degree at Imperial College London. His company ‘Hype Productions’ specializes in producing music videos and commercials. 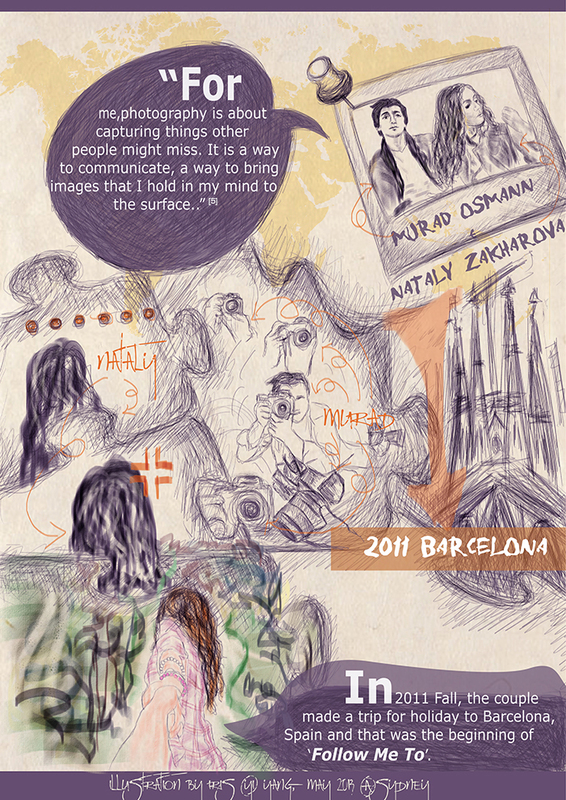 Nataly Zakharova is known as Murad’s muse. She is a Russian Journalist, born in 1985 in Potsdam, Germany. 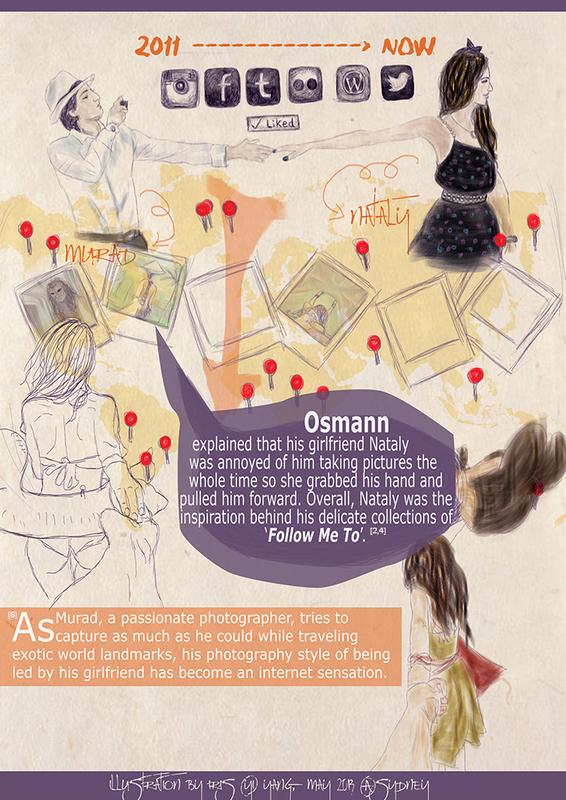 The face of beautiful brunette whom Murad Osmann follows to different places is never shown in ‘Murad’s Follow Me To’ series. • Murad Osmann started using Instagram in July 2011. 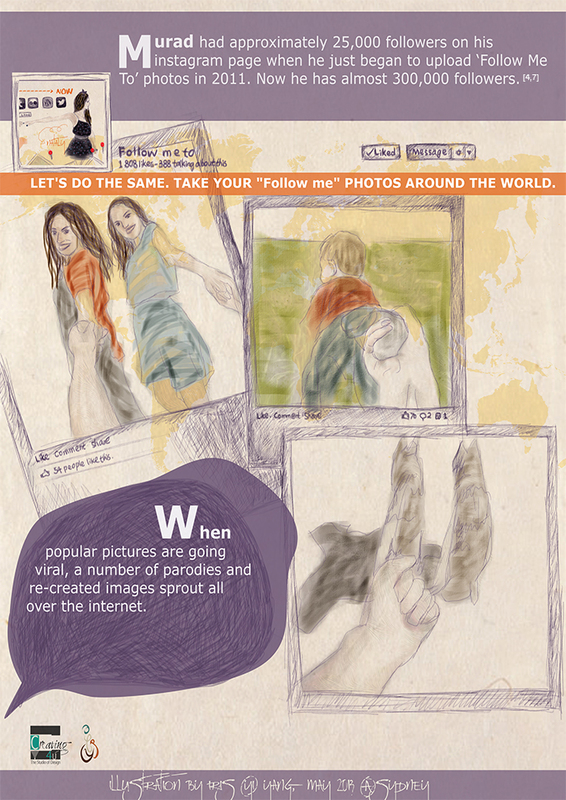 • The first ‘Follow Me To’ picture was uploaded on Instagram on 18th October 2011. • The leading beauty is the photographer Murad Osmann’s journalist girlfriend Nataly Zakharova. • He had 25,000 followers on Instagram by the time he first uploaded the first post of ‘Follow Me To’ and he now has almost 300,000 followers on Instagram. • He utilizes Instagram, Twitter, Facebook, and Tumblr in order to communicate with his fans. 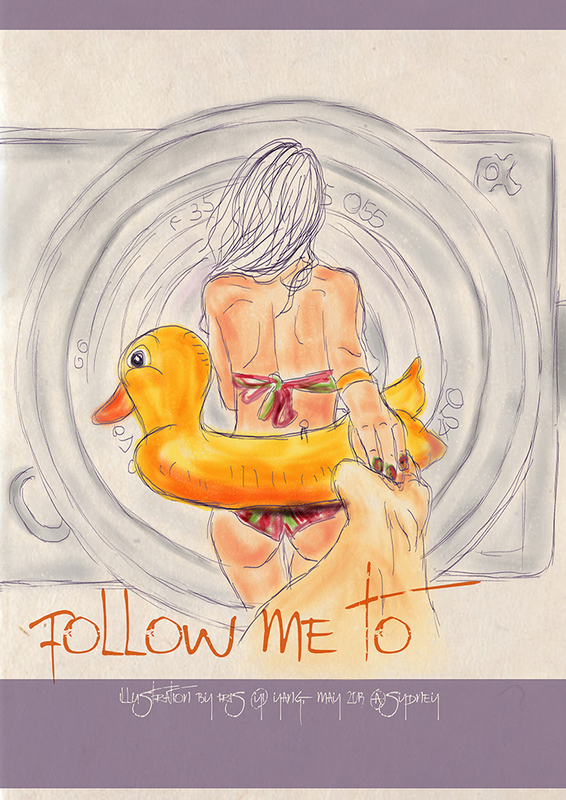 • There is a Facebook page for ‘Follow Me To’ for people to upload their own ‘Follow Me To’ photography.